Thomas Watson was probably born in Yorkshire. He studied at Emmanuel College, Cambridge, earning a Bachelor of Arts degree in 1639 and a Master of Arts degree in 1642. During his time at Cambridge, Watson was a dedicated scholar. After completing his studies, Watson lived for a time with the Puritan family of Lady Mary Vere, the widow of Sir Horace Vere, baron of Tilbury. In 1646, Watson went to St. Stephen’s, Walbrook, London, where he served as lecturer for about ten years, and as rector for another six years, filling the place of Ralph Robinson. 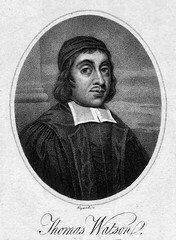 In about 1647, Watson married Abigail Beadle, daughter of John Beadle, an Essex minister of Puritan convictions. They had at least seven children in the next thirteen years; four of them died young. During the Civil War, Watson began expressing his strong Presbyterian views. He had sympathy for the king, however. He was one of the Presbyterian ministers who went to Oliver Cromwell to protest the execution of Charles I. Along with Christopher Love, William Jenkyn, and others, he was imprisoned in 1651 for his part in a plot to restore the monarchy. Although Love was beheaded, Watson and the others were released after petitioning for mercy. Watson was formally reinstated to his pastorate in Walbrook in 1652. Watson’s depth of doctrine, clarity of expression, warmth of spirituality, love of application, and gift of illustration enhanced his reputation as a preacher and writer. His books are still widely read today. 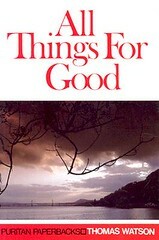 All Things for Good (BTT; 128 pages; 1988). If someone asks, “Why do bad things happen to good people?” or “How can I know if I am called by God?,” offer them this book. Its chapters on the love of God, effectual calling, and the purpose of God are especially helpful in understanding Romans 8:28. Chapter 5, on the “tests of love to God,” is particularly searching. 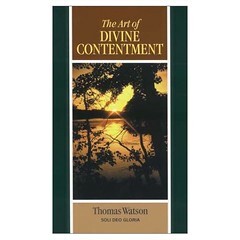 The Art of Divine Contentment (SDG; 133 pages; 2001). Godly contentment is a theme missing from many pulpits today. A serious reading of this treatise or Jeremiah Burroughs’s Rare Jewel of Christian Contentment would do much to fill this void. The Beatitudes (BTT; 307 pages; 1971). First published in 1660, this exposition of Matthew 5:1-12 is rich with instruction. For example, in explaining the blessedness of meekness (5:5), Watson explains meekness towards God as submission to His will and flexibility to His Word. Meekness towards man, he says, involves bearing injuries, forgiving injuries, and recompensing good for evil. In bearing injuries, meekness opposes a hasty spirit, malice, revenge, and speaking evil of others. In forgiving injuries, meekness forgives truly, fully, and often. In recompensing good for evil, Watson says, “To render evil for evil is brutish; to render evil for good is devilish; to render good for evil is Christian.” He offers numerous reasons why Christians should be meek, such as: Jesus Christ is meek; meekness is a great ornament to a Christian; meekness is the way to be like God; meekness argues a noble and excellent spirit; meekness is the best way to conquer and melt the heart of an enemy; meekness contains great promises, for the meek shall inherit the earth; and an un-meek spirit hinders peace. All of this is cogently explained in a mere fifteen pages (pp. 105–119). 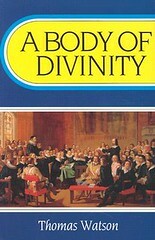 A Body of Divinity (BTT; 316 pages; 1998). This book, first published after Watson’s death in 1692, was his magnum opus and became his most famous work. Following the question-and-answer format of the Westminster Shorter Catechism, it offers 176 sermons on the essential teachings of Christianity. It shows the author’s deep understanding of spiritual truths and his ability to make them clear to anyone. Unlike most other systematic theologies, it weds knowledge and piety together, and can be used effectively in daily devotions. It is perhaps the most experiential systematic theology ever written, with the exception of Wilhelmus à Brakel’s The Christian’s Reasonable Service. The Lord’s Prayer and The Ten Commandments (cf. below) complete Watson’s exposition of the Shorter Catechism. This trilogy on the Shorter Catechism has been reprinted often over the centuries in one or three volumes. The Duty of Self-Denial and Ten Other Sermons (SDG; 210 pages; 2001). This book includes eight chapters on self-denial, based on Luke 9:23, and ten additional sermons, seven of which have not been reprinted since the seventeenth century. 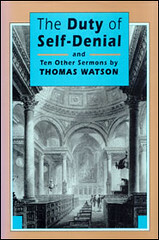 Watson teaches that “self-denial is the first principle of Christianity.” He describes what self-denial is, then demonstrates the Christ-asserting nature of every self-denying act. The additional sermons in this volume are also valuable, particularly those on God as the reward of His people (Gen. 15:1), “kissing” the Son (Ps. 2:12), the comforting rod (Ps. 23:4), and the Judgment Day (Acts 17:31). The Fight of Faith Crowned (SDG; 191 pages; 1996). This book contains six sermons that had not yet been reprinted in the twentieth century. They include “The Crown of Righteousness” (2 Tim. 4:8), “The Righteous Man’s Weal and the Wicked Man’s Woe” (Isa. 3:10–11), “Time’s Shortness” (a funeral sermon for the Puritan preacher John Wells, based on 1 Cor. 7:29), “The Fight of Faith Crowned” (a funeral sermon for Henry Stubbs, based on 1 Tim. 4:7–8), “A Plea for Alms” (Ps. 112:9), and “The One Thing Necessary” (Phil. 2:12). The last sermon strips away every excuse for not seeking God and pleads that we bow to the demands of the gospel. Watson concludes by explaining six helps for working out one’s salvation: Christ’s strength, diligence, love, humility, hope, and prayer. Gleanings from Thomas Watson (SDG; 144 pages; 2001). This work offers quotations from Watson’s writings. It sorts them according to fifteen areas of the believer’s walk with Christ, including contentment, persecution, temptation, preaching, prayer, and meditation. Watson had the gift of presenting profound doctrinal truth in vivid images and colorful metaphors that are particularly memorable. • He who is ashamed of Christ is a shame to Christ. • Worldly sorrows hasten our funerals. • They that bear the cross patiently shall wear the crown triumphantly. 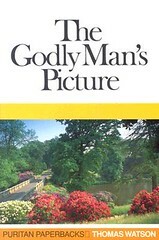 The Godly Man’s Picture (BTT; 252 pages; 1992). This work is subtitled Drawn with a Scripture Pencil, or, Some Characteristics of a Man who is Going to Heaven. After explaining the nature of godliness, Watson describes twenty-four marks of a godly man, including “moved by faith,” “fired with love,” “prizes Christ,” “loves the Word,” “is humble,” “is patient,” and “loves the saints.” The concluding chapters offer helps to godliness, advice on how to persevere in godliness, counsel and comfort for the godly, and teaching on the mystical union between Christ and His people. Harmless as Doves: A Puritan’s View of the Christian Life (CFP; 188 pages; 1994). This book contains ten excellent sermons that provide a biblical picture of practical Christian living. They include “Christian Prudence and Innocency,” “On Becoming A New Creature,” “The Evil Tongue,” “Not Being Weary in Well-Doing,” “On Knowing God and Doing Good,” “Christ All in All,” “The Preciousness of the Soul,” “The Soul’s Malady and Cure,” “The Beauty of Grace,” and “The Trees of Righteousness Blossoming.” These sermons reveal Watson’s colorful and compelling style of preaching. They are experiential and practical and make excellent devotional reading. Heaven Taken by Storm (SDG; 135 pages; 1992). This book helped lead Colonel James Gardiner (1688–1745) as well as many others to conversion. It is an excellent book to give to those who want to start reading the Puritans. 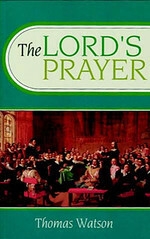 The Lord’s Prayer (BTT; 332 pages; 1994). Originally produced as a companion to A Body of Divinity on the Shorter Catechism, Watson continues the question-and-answer format to explain the petitions of Jesus’ model prayer. In our opinion, this book matches Herman Witsius’s The Lord’s Prayer in usefulness. Witsius’s work is more deliberate and theological, while Watson’s is more devotional and practical. 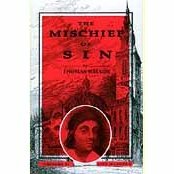 The Mischief of Sin (SDG; 176 pages; 1994). This is Watson’s most definitive treatment of sin. It includes four parts: “The Mischief of Sin,” “The Desperateness of Sinners,” “An Alarm to Sinners,” and “Hell’s Furnace Heated Hotter.” “The Mystery of the Lord’s Supper” is included in an appendix. A Plea for the Godly and Other Sermons (SDG; 480 pages; 1997). 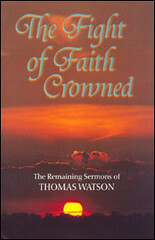 This collection containing some of Watson’s best work includes: “Comfort for the Church,” “The Happiness of Drawing Near to God,” “The Tongue, a World of Iniquity,” “The Mystical Temple,” “Christ All in All,” “The Perfume of Love,” “A New Creature,” “The Heavenly Race,” “The Fiery Serpents,” and Watson’s farewell sermon. 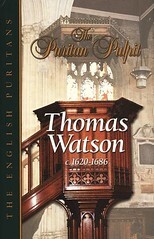 The Puritan Pulpit: Thomas Watson (c.1620–1686) (SDG; 233 pages; 2004). This book, the second in the Puritan Pulpit Series, is a collection of ten sermons not found in any other work of Watson’s in print today: “A Christian on Earth Still in Heaven,” “Christ’s Loveliness,” “God’s Anatomy Upon Man’s Heart,” “The Beauty of Grace,” “The Preciousness of the Soul,” “The Saint’s Desire to be with Christ,” “The Saint’s Spiritual Delight,” “The Soul’s Malady and Cure,” “The Tree of Righteousness Blossoming and Bringing Forth Fruit,” and “The Spiritual Watch.” These sermons are vintage Watson—pastoral and easy to understand, rich with illustration and abounding in application. Religion Our True Interest (BB; 144 pages; 1992). The covenant-keeping character of God is evident as Watson explains God’s promise “They shall be mine” from the book of Malachi. Believers belong to God, Watson says, but God and all His riches also belong to believers. God says, “My wisdom shall be yours to teach you, my holiness shall be yours to sanctify you, my mercy shall be yours to save you,” to which Watson responds, “What richer dowry than deity? God is a whole ocean of blessedness. If there is enough in Him to fill the angels, then surely He has enough to fill us.” This book is rich fare for the encouraging, enlightening, and admonishing of believers. 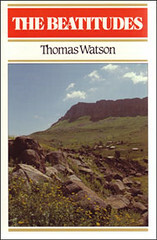 Sermons of Thomas Watson (SDG; 745 pages; 1997). The Ten Commandments (BTT; 245 pages; 1998). This third volume that Watson wrote on the Shorter Catechism examines the moral law as a whole as well as each of its commandments. Watson repeatedly shows the various ploys of indwelling sin. In view of the importance of law in Christian living, this is an extremely valuable work.